What if we say that we have got a success mantra for you to attain success easily in your business? What if you need to follow just a few footsteps to attain that success and what if we say that you already have that mantra but never focused on it? Quite strange! Isn’t it? But the best news is that your business has got that potential to attract more and more clients for the business. Companies are making deep investment in mobile like never before. It implies that businesses know that the clients are interestingly migrating to mobile platforms to find preferred services, product or assistance. Getting into the mobile business is one thing and then developing a content strategy for the same is another. A well-planned strategy is thus the mantra to get the success. Content, in a number of ways, is the cornerstone for every mobile strategy. It needs to be business-centric too. With a full-fledged plan, it won’t take long for your company’s mobile effort to grow from a side venture to a functional marketing strategy. With the same reason, enterprises must ensure that they indulge in right practice to develop their own mobile content management strategy. The first and the foremost requirement is to optimize your content to appear perfectly in the mobile screen space. And, the best thing to do is to invest in a mobile website. Think what your mobile users will search on your website and then design the content accordingly. Remember to summarize the content as short as you can. Unlike desktop users, mobile visitors don’t go that far in-depth. Additionally, format the images for the mobile. CTA or call to action is your chance to get some extra clicks from the users. When designing mobile-specific CTAs you can approach the visitors to download your company’s app or simply encourage them to follow your company. With these simple mobile friendly way, you can develop a healthy relationship with the clients. Users behave differently on mobile and desktop platforms. And, with the same reason, you need to have the analytics for the mobile. Thus, it is recommended to have a solution that can evaluate your mobile performance regarding the content and the users to be targeted. It is the most important concern for everyone planning to invest in the mobile app. A well-tested app goes way beyond than your expectation in adding the clients in the business. A mobile app without any flaws could be your ultimate partner in increasing the business sales and the brand popularity. 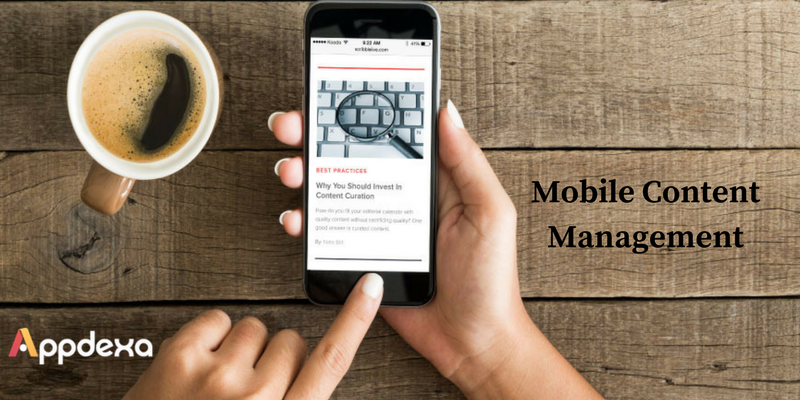 It is high time now, you start embracing the above-written ways to develop an exceptional mobile marketing strategy for your business. Well, this move can differentiate your brand from others. Every business differs in its approach to attaining clients and thus having a well-planned mobile strategy could be your next move to win the clients.